Home > Bathroom Specialist > What about small bathrooms? 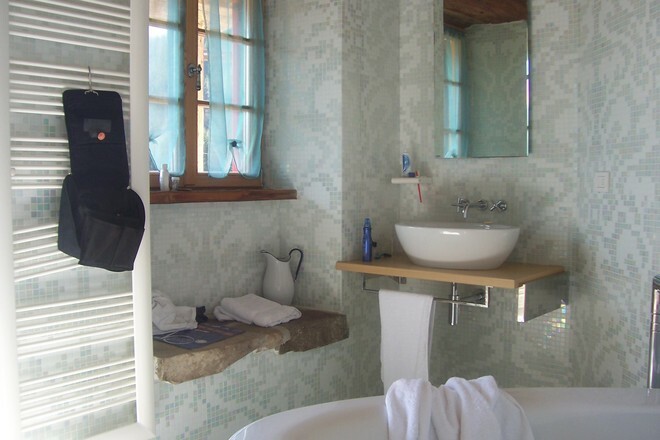 Most bathrooms are small, so to appoint a Bathroom Specialist for a particularly small bathroom there are a few things to first think about. Optical enhancement of the room. Before you appoint your bathroom specialist first think about the components of the room. Starting with the bath you can order baths now that are normal width at the bathing/showering end but then narrow at the feet end. Please note that this is not the P shaped bath as these are normal width at the seat end and then have a space wasting 900mm wide ‘feet end’ that robs valuable floor space. Space can also be saved from the basin. With a thin walled semi recessed arrangement with a cabinet underneath, you can reduce the basin protrusion by 20cm and have a handle storage area to hide the many items that would normally clutter the room and in turn rob space. Similarly with the WC there are pans that are roughly 60 cm in projection but others that project only 48 cm. Another important consideration is a wall hung WC as opposed to a floor standing. This really is a ‘must’ in a small space. So now you have less space used and air under the toilet to give the illusion of extra space, not to mention the benefit of easy cleaning. Having a lowered bath, besides making it safer, can be an effective enhancement of space for the eye. The bath can be built in to the floor subject to the structure of your floor, and can have a nice tiled surround for lotions and even the odd candle for the full relax session. Also bath shower screens are now available that fold back flat to the wall so far less intrusive than conventional screens fixed to the bath rim. With the shower enclosure choose a frameless version at just 1500mm high – this will have a massive effect on the perception of space. Try to suspend as much as possible. Wall hung cabinets for example reveal more floor and contribute to the perception of more space. And position them at mid height with the top lower than the eye height of the shortest adult in the house. This creates a better feel than high level wall units. Also bathroom doors that open back flat to the wall, and WC cisterns that are just 80mm deep all help. Fianlly the choice of tiles. This probably has the greatest impact. Choice in terms of colour, size and style. More below. Light colours for small rooms work well, tile size is subjective but we tend to think larger tiles enhance space better as there's less detail on the walls, and finally the style in terms of the material is important. With natural stone you may have too much detail in the tile and this will make the room ook busy and cluttered. A more simple ceramic approach would be more suitable and far easier for your bathroom specialist to work with in such a confined area. You should also think about wall paper. Sometimes this can work better in more confined spaces than tiles, less busy on the eye, and easy to update when needed, although the room needs to be well ventilated.